Chauffeurs are often considered as upscale drivers , but it’s not as simple as that. A driver is someone who gets behind a car’s wheel and drives. On the other hand, a chauffeur is an expert in the art of transportation. 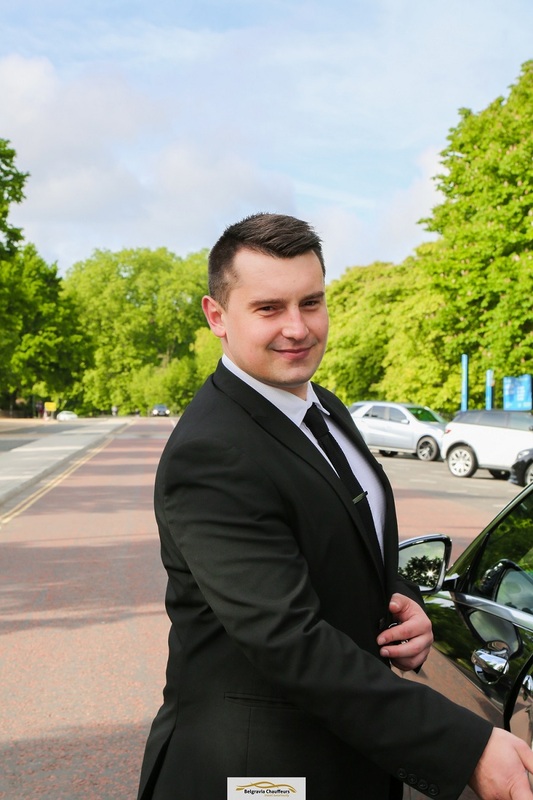 Becoming a chauffeur in London provides plenty of benefits. First, you will receive flexible control over your hours. Depending on your preference, you can choose to drive at night or in the mornings. Also, you won’t have to worry about getting unwanted surprises since you will be receiving your assignments ahead of time, thus giving you an opportunity to inspect and prepare your vehicle, as well as plan the trip well based on your client’s itinerary. You may think that your appearance is just a small detail, but this is quite a crucial aspect of a chauffeur’s job. To make sure that your client is comfortable whilst in transit, you need to create the proper atmosphere. Present yourself in a way that represents class, dignity and professionalism by being dressed in a clean suit and well-groomed. How you carry yourself is also a part of how you present yourself to clients, so pay close attention to your tone of voice and facial expressions. A top-notch chauffeur must carry himself with competence and quiet confidence at all times. There are some chauffeurs who believe that they must maintain conversations with their clients to make the ride better and more enjoyable. However, this is not always the case. An excellent chauffeur must learn how to read his clients. Pay attention to your client’s mood and body language to determine if engaging in small talk or a short conversation would be appropriate. Is he looking for a peaceful drive or an engaging conversation with a new acquaintance? A top-notch chauffeur is an excellent timekeeper; this requires exceptional organisational skills and advanced planning. Being punctual is not just about showing up on time, but also being consistently reliable and arriving early and fully prepared. So once you receive your assignment, look up the area to identify all the possible roads you will be using from point A to point B. You might always be taking the same route to get from the hotel to the airport, but an accident or a roadway construction might delay your travel time at some point. If you are not prepared for this situation, you may not be able to meet your client’s needs. But if you readily anticipate and prepare for such circumstances, you know exactly what to do to get to your destination on time, every time. Chauffeurs spend plenty of time on the road, so they know the areas they frequent very well. But regardless of how familiar they are with the area, they must always prepare for their trip in advance. A certain degree of intuition is necessary for a chauffeur to provide an excellent level of service. Always put yourself in the shoes of your client and try to prepare for anything. Bring a fully stocked emergency kit at all times as this will help you deal with an unexpected situation. The most commonly used items that can save the day while in transit include wet wipes, a travel sewing kit, pens, a first aid kit, and a bleach pen for removing stains. These items will help keep your client out of sticky situations. Saving the day using your bag of helpful tricks is an excellent way to provide an invaluable service. Aside from paying attention to your own appearance, it is also crucial for your workspace to be immaculate every time you have a client with you. For instance, avoid smoking while on duty or when wearing your uniform. The odor can be very nasty for your passenger, most especially when he or she is a non-smoker. Moreover, keep the vehicle well-maintained, both inside and out. A premium chauffeur will have some experience in basic car repairs and maintenance to make sure that the car is always running in excellent condition. As such, before leaving on a trip, make sure that you carry out a detailed safety and cosmetic inspection. Pay special attention to the car’s interior to ensure that it is perfect. As for the safety inspection, you need to check the fluid levels, air pressure in the tires, and warning lights. Once everything has been checked out, expect that your client will have a worry-free, relaxed and comfortable trip. You can guarantee an excellent airport drop off service if you are aware and mindful of all the instructions provided by the client. With the right information, meeting with your client at the right time and place will be easy, most especially when you are picking him up from a busy airport where there are thousands of people walking around. A good chauffeur is always courteous and polite even when the customer is not. You must not argue with your client over anything. And if you notice that he is having a bad day, don’t make things worse. Being understanding, kindness and excellent customer service are very crucial. Moreover, always keep the activities and identity of your client confidential. After all, your client is also paying for privacy, discretion and respect in addition to being escorted around in style and comfort. Chauffeuring is more than just driving. To be a top-notch chauffeur, always keep these important things in mind each time you transport a client to ensure a safe, comfortable and ultimately satisfying ride.